Now that the dust has settled a bit from yesterday’s massive Google product event, we can start digging into the details. One of the items in the afterglow that caught a lot of people’s attention has to do with Google Photos and the new Pixel 2 lineup. 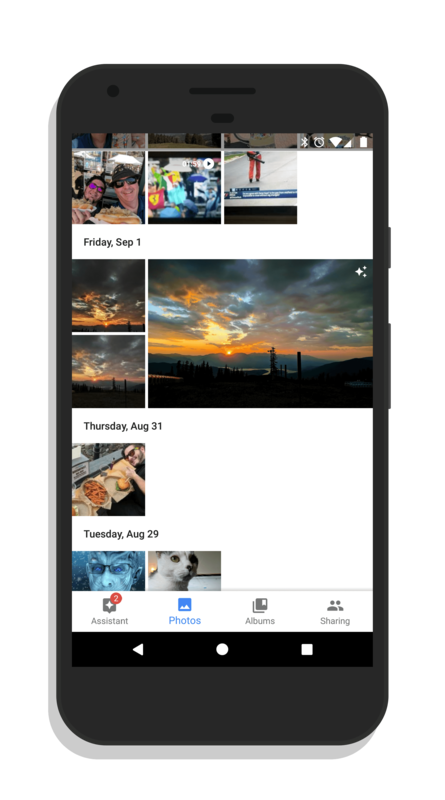 As readers are likely aware, with the original Pixel and Pixel XL, users had unlimited uploading of original quality photos to Google Photos. On every other device out there this counts against your Google Drive quota (remember, Google Photos leverages your Google Drive for storage) so it was a nice perk to have indeed. Everyone else has to use High Quality, a compression process that allows Google to look at the content of photos to train their AI, in order not to use their Drive quota. Frankly, I use HQ on my other non-Pixel devices because the compression is pretty lossless, especially if photos are under 16MP. The original Pixel and the Pixel 2 both have 12MP cameras so technically, there is no reason not to use HQ. In the fine print yesterday it was discovered that for owners of the new Pixel phones, the Original Quality uploads will be available until 2020. After that, uploads will start counting against your Drive quota. This cause a lot of consternation for some but frankly, it isn’t a surprise or a big deal. 2020, even with Google offering 3 years of upgrades on the new phones. I would have been far more concerned if this was something they ended in 2018 or even 2019 as your still within the window of upgrades for the majority of users. Second, and perhaps more importantly, Google gave no indication that photos uploaded from a Pixel 2 prior to October 2020 will suddenly be retroactively counting against your quota. It appears to be a “from that point forward” statement. Personally folks, I think there is more smoke than fire on this one. Given this isn’t retroactive and we are talking three years out, it just isn’t a big deal for the vast majority of users out there. What your thoughts? Leave a comment.